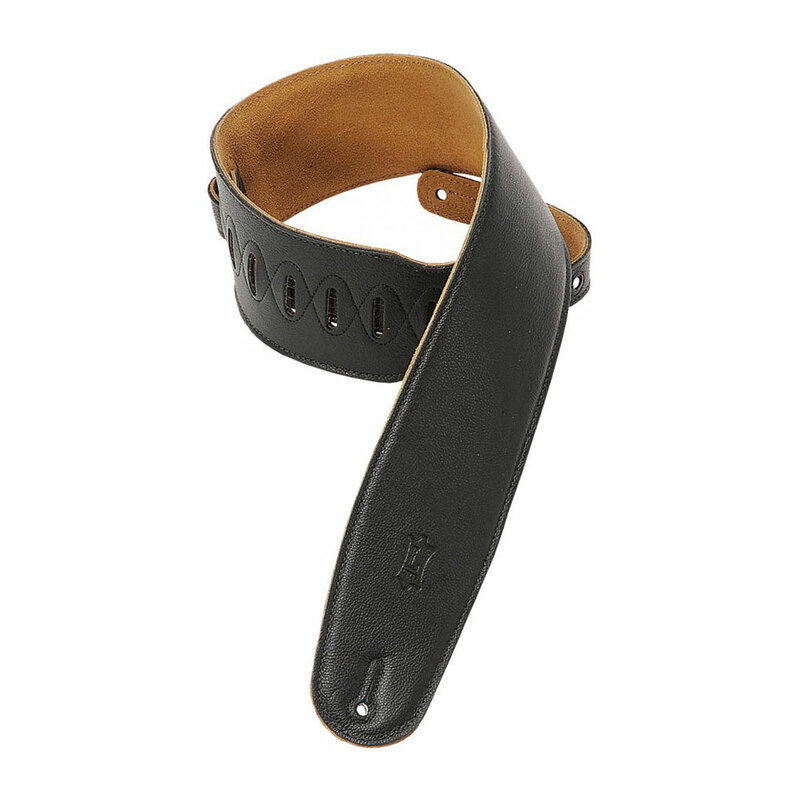 The Levy's M4GF is a premium quality, soft leather guitar strap with suede leather backing. The strap has foam padding and is 3.5" wide for extra comfort on even the heaviest guitars and basses. It can be adjusted from 91 cm to 132 cm (36" to 52") and the adjustment system and strap button holes are reinforced with polyester between the leather layers and extra stitching. Suitable for use with strap locks and comes with a lace for tying on to an acoustic headstock.